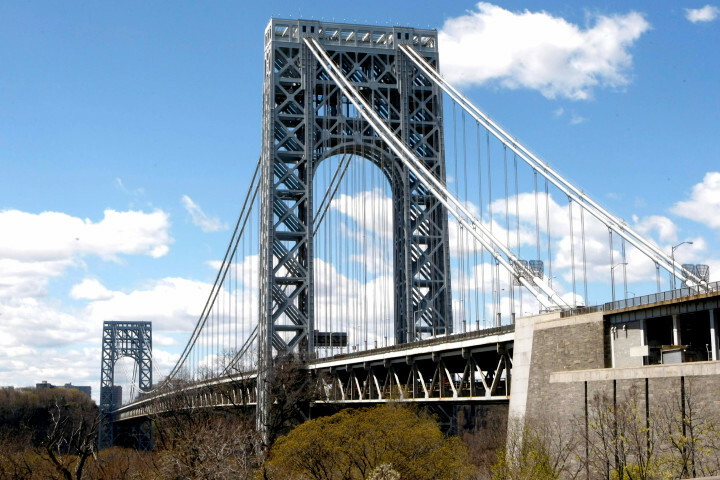 The George Washington Bridge is about to get a major facelift and, it could cause traffic nightmares for drivers in Bergen and Rockland Counties, CBS NEW YORK reports. The first phase of the overhaul is the ramp off the Palisade Parkway, it would impact thousands commuting into the city. At the start of 2017 the Port Authority will demolish the 85-year-old ramp called the ‘pip-helix’ and then replace it. Before the tear down, the Port Authority will build a temporary ramp with the same amount of lanes for drivers to use in June or July. Along with the rebuild, the project will take 3 years. During construction the current and temporary ramps will shut down during some overnights and weekends. While the work may cause an inconvenience for drivers, after it’s over the bridge should last for another 85 years. Read more at CBS NEW YORK.